Can't decide whether to get a single or double kitchen sink? This guide will help you make the right choice when it comes to one of the most important appliances in your kitchen. One of the most important questions you may ask yourself during a kitchen remodel is, “How to choose the right kitchen sink?” Let’s face it, the sink is a kitchen mainstay. To neglect weighing the pros and cons of kitchen sinks before an installation may leave you with daily regret later. While there are many distinguishing factors to consider between different sinks, the big question is single sinks vs double sinks. While both come in many different sizes, styles, and materials, the most important considerations often revolve around the size of both the sink and the space available in the kitchen. Double sinks are often lauded as the sink of choice for multitasking home chefs. One sink can be filled with water and soaking dishes while the other is left open for rinsing vegetables and draining pasta. Double sinks can be especially useful when preparing dishes with raw meat. 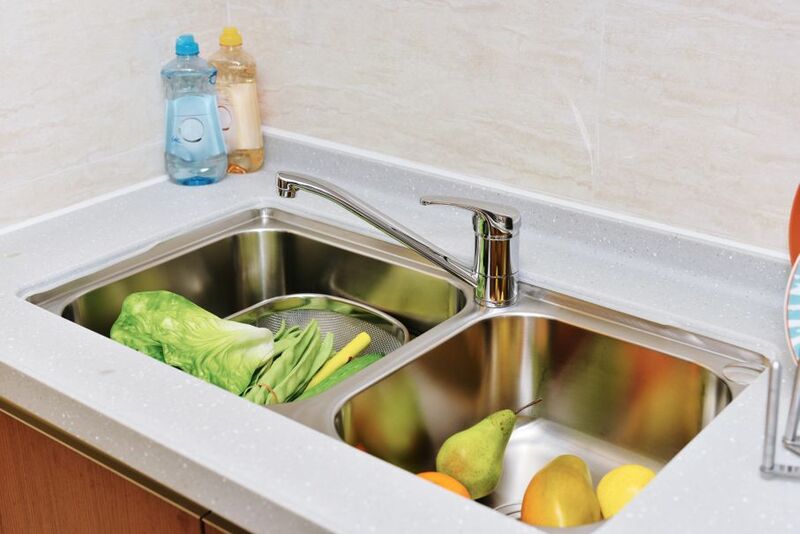 One side of the sink can be used for rinsing and preparing the meat without having to sterilize the entire sink for use in the middle of meal prep. For the sustainability-minded another benefit of the double bowl sink is that it provides the perfect setting for efficient water usage while handwashing dishes. One side can be filled with water for washing and the other for rinsing. 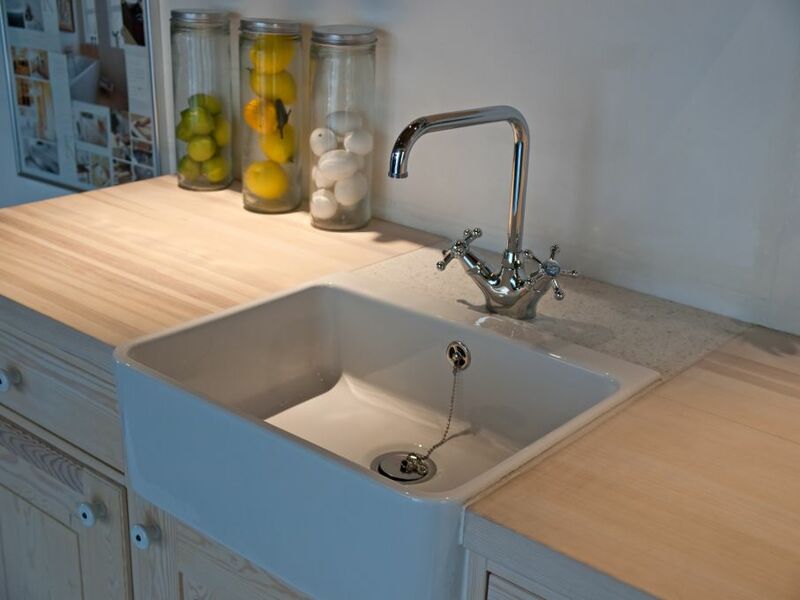 Single bowl kitchen sinks are often found in smaller kitchens, since they typically take up less counter and cabinet space then their double-bowled counterparts. If strategically installed, the space that’s saved by single bowl sinks can leave enough room for even one more under the counter cabinet. Single bowl kitchen sinks typically have a larger bowl for washing since the space is all just one sink. This is beneficial for washing large pots, pans, and baking sheets. Especially in a smaller kitchen, single bowl sinks can be visually appealing because they are simpler and make the kitchen appear less cluttered. When thinking about whether to include a single sink or a double sink in your kitchen, you should make your decision based on your personal preferences while also taking into consideration the available space you have. How often will I wash dishes by hand? Do I often wash large items by hand instead of using a dishwasher? Could I benefit from another under the counter cabinet? Will a single open sink bowl make the kitchen space more appealing? The most popular standard size for a kitchen sink is 33 inches, but sink sizes can vary between 30 and 48 inches. If you’re willing to order something custom-made, the sky’s the limit! You’ll likely have specific reasons to choose certain materials. For example, a porcelain enamel coating on cast iron is a durable option, but an under-mounted style might need additional support. A copper sink may be beautiful in coloration and have certain antimicrobial properties, but the high reactivity of the metal makes it more prone to darkening or staining. A stone option may make your kitchen appear seamless, but the porous nature of the solid surface you choose may make cleaning the sink more difficult. 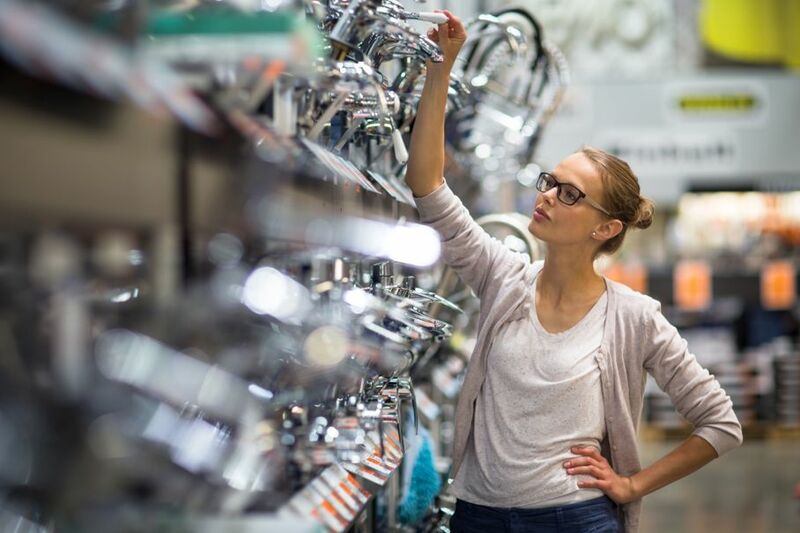 Regardless of the material you choose, take the time to explore the pros and cons of the available sink material options before making a purchase. 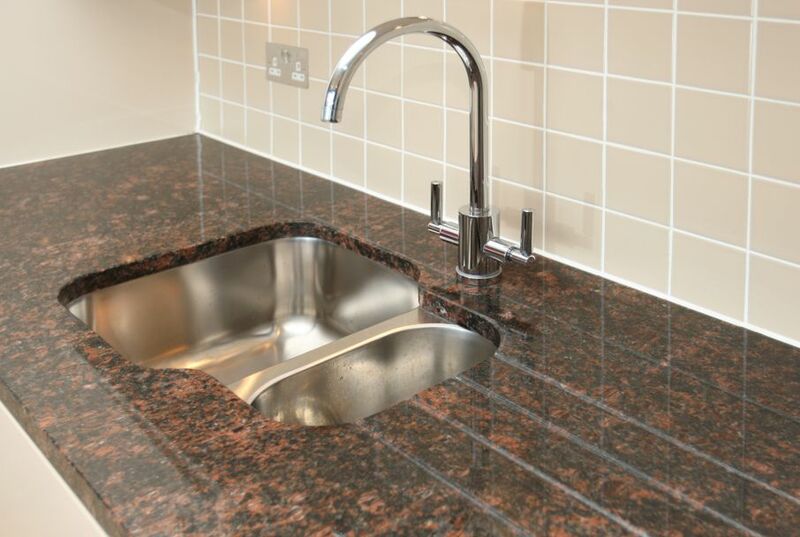 We hope that we've provided an informative kitchen sink buying guide to help! Need more sink-specific information? Consider reviewing Consumer Reports’ kitchen sink buying guide for material-specific product ratings.